Sinha’s lawyer says ‘shocking details’ in the plea. Chief Justice of India Ranjan Gogoi retorts ‘nothing shocks us’. 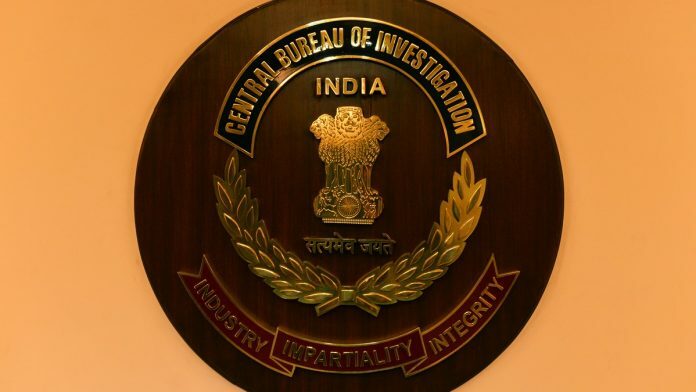 New Delhi: The Central Bureau of Investigation (CBI)’s factional feud took a drastic turn Monday as CBI deputy inspector general M.K. Sinha filed an application in the Supreme Court and sought to implicate several top functionaries of the Narendra Modi government including National Security Adviser Ajit Doval and Central Vigilance Commissioner K.V. Chaudhary, for alleged interference in the functioning of the investigative agency. In his application, Sinha donned the hat of a whistleblower and narrated alleged instances of interference by Doval, minister of state for coal and mines Haribhai Chaudhary, and Union law secretary Suresh Chandra. Sinha was transferred to Nagpur in a midnight move on 23 October. The officer said that the conspiracy in the Moin Qureshi case is symptomatic of a larger malaise. He said the investigation team has been victimised because of its impartiality and diligence. Selected extracts from Sinha’s plea are reproduced below. “On the morning of 16.10.2018, the accused Shri Manoj Prasad (alleged middleman) was intercepted at Delhi Airport on his arrival from Dubai and brought to CBI HQ. During the first few hours of his arrival at CBI HO, Manoj was garrulous and arrogant, both at the same time, and in equal measure. He was interviewed by the applicant and others. He tried his best to ward off the investigation by dropping names of ‘high and mighty’ and mentioning his ‘top contacts’ to create fear in our mind. “The relevant conversation of his initial outburst is being placed on record here. As per Manoj Prasad, Shri Dineshwar Prasad, father of Manoj and Somesh, retired as Joint Secretary, R&AW and has close acquaintance with the present National Security Advisor Shri Ajit K. Doval (“NSA”). This was one of the first things Manoj claimed on being brought to CBI HQ and expressed complete surprise and anger as to how CBI could pick him up, despite his close links with the NSA Shri Doval. “He started bragging and claimed that his brother Shri Somesh is very close to an officer at Dubai (name withheld) and to Samant Goel, presently Special Secretary, R&AW and he can get us ‘finished off’ / “kicked out’. “Ultimately, the proposal seeking permission to search was put on record by the IO on 22.10.2018. However, the same was not allowed and a query was raised by the Director as to why the searches are to be done. “Upon being queried, the Director/Petitoner herein replied that he was not getting clearance from the NSA/Shri Doval. It was then resolved, as a face saving measure, to take recourse to the Quashing Petition, filed by Shri Rakesh Asthana, pending before the Hon’ble Delhi High Court, which was coming up for hearing on 23.10.2018. That is why, during the hearing dated 23.10.2018, the CBI had insisted that the electronic devices such as the cell phone sets be preserved. “Sometime in first fortnight of June 2018, a few crores of rupees was paid to Shri Haribhai Parthibhai Chaudhary, presently Minister of State for Coal and Mines in Government of India. “As per Shri Sana, Shri Haribhai had intervened with the Senior officers of CBI through the office of the Minister of Personnel, Public Grievances and Pension [“MOS (P)”], to whom, apparently, the Director – CBI reports to. “The money was paid through one Vipul of Ahmedabad. These facts were disclosed by Sana to me on 20.10.2018 in the forenoon. I immediately reported the matter to the Director and the AD (AK Sharma). “Shri Sathish Babu Sana also disclosed that he met the CVC Shri KV Chowdhary alongwith one Gorantla Ramesh (close relative of CVC Shri KV Chowdhary and owner of Delhi Public School Hyderabad, as per Sana) somewhere in Delhi (exact date and location was not informed) and that they discussed Moin Qureshi’s case. As per Sana, in the year 2011, Shri Gorantla Ramesh sold some land and gave around Rs 4 crores out of the said sale consideration to Shri Sana, in the same month, in which Shri Sana had given Rs 50 Lakhs to Moin Qureshi. Therefore, Shri Gorantla Ramesh was examined by CBI in the Moin Qureshi’s case. “Additionally, the Applicant became aware that while the proceedings were going on in the CVC against the Petitioner herein – Shri Alok Verma, the Union Law Secretary Shri Suresh Chandra waded in to the issue. On 8.11.2018, the office of Shri Sana was repeatedly approached by one Ms. Rekha Rani, IAS officer of Andhra Pradesh Cadre, claiming that the Union Law Secretary, who is in London, wants to speak to Shri Sana. The London number of the Union Law Secretary was communicated. “Shri Sana spoke to him on Whatsapp on the evening of 08.11.2018. The Union Law Secretary Shri Suresh Chandra said that he was in London for some work related to Nirav Modi case, that he was trying to contact him for last 4/5 days in order to convey message of Cabinet Secretary Shri PK Sinha that the Union Government will offer full protection to him, that there will be a drastic change on Tuesday (13th) and that he (Sana) should meet him (Suresh Chandra) on Wednesday(14th), that even IB is not able to track his (Sana) movement, that he also tried to communicate the message through one Chamundeshwarnath with whom he met in his London hotel. The call was ended by Sana promising to call him again later in the night. Demo & CBI cleaning costing a lot to scamgress & in the process scamgress will get wiped out in the time to come. If this Mr. Sinha is not able to provide proof of the allegations against the Minister and the NSA and the oral instructions he got from the DIR CBI to stop a search operation he will be in serious trouble with the SC. As a former Rev Secy of India, I have seen many such operations. It was never the practice of any senior unless he took command himself as I did on many occasions to interfere in the field operations of subordinate organizations UNLESS THOSE IN CHARGE ENLISTED THE HELP OF THE SECRETARY. It has happened with me on several occasions but then I took the entire responsibility. This applicant”s statements are all based on hearsay and by imputation. It appears he is being used. I know the SC very well as I was supervising the Jain hawala case and used to appear before the SC. The SC should not be taken for granted.